temptation | My Health! My Choice! A great deal of my reading, both professionally and personally is in the area of ethics. Ethics is often described as “The study of ‘How should I live?’” It delves into issues of honesty, propriety, temptation, etc. It is fun when this interest sheds light on my own struggles with weight and food temptation. Don’t be surprised, because if it is unhealthy and harmful to eat to excess, then isn’t doing so unethical? If I should eat in moderation, then eating immoderately is to behave unethically. One book I’ve been reading is Dan Ariely’s “The (Honest) Truth about Dishonesty: Why we lie to everyone—especially ourselves.” It’s a fascinating look at honesty and the things that trip up our efforts to live as we believe we should. In a chapter I read this morning, Dan discusses Cognitive Depletion and its effect on temptation. It can be quite enlightening for those of us struggling with dietary temptations. Just as a muscle can be worn out through use, our will power can be worn out through activity. We live stressful, tempting lives. All through our day we face temptations and make decisions. We exercise our will to overcome these temptations. Funny thing is we do this with all sorts of activities, not just our diet. We face decisions at work. Often there is a temptation to cut corners and we have to will ourselves to resist. We might face decisions on the road home and have to resist the temptation to react to other drivers. With each use of our will power ‘muscle’ it becomes depleted and by the end of the day we may find ourselves without the strength to overcome the next temptation. Often this “bridge too far” temptation is dietary. We know we shouldn’t have it. We know we will do better without it. We know we are healthier without it. However, we quickly find ourselves giving in to temptation and eating what we should not. How can we overcome this? There are a couple ways. If you can manage your day to have the most stressful events in the morning or right after breaks when you are refreshed, this might help. But let’s be honest, if stress could so easily be managed we wouldn’t really be stressed, now would we? A better way is to be aware of what is going on. Be aware that after stressful times temptations take on new dimensions and what was once easy to overcome becomes harder. Prepare for this beforehand. For example, you can empty the tempting foods out of your house. Remove the sweets, the chocolates and the ice cream. Don’t keep them around to tempt. Perhaps you should remove the Pizza place’s magnet from your refrigerator door so you don’t get tempted to just dial up a large with everything—including double guilt. Keep a selection of healthy options quickly available so the choice is made beforehand. If you find it difficult to pass by a certain restaurant then on stressful days you may need to drive home a different way. One of the best defenses is being able to recognize a problem coming on. Highly stressful days with lots of choices can deplete your ability to make good decisions. Be prepared. The good thing, also like a muscle, as you overcome temptations and get used to eating healthy it can become easier to make those good choices over time. However, it is unlikely you will ever be beyond the siren call of certain foods and free of any and every temptation. So make a plan and keep an eye out on those really stressful days. Before I started this journey, my doctor recommended meds to encourage weight loss. I have always been one who disliked being dependent on anything, especially something that come from a pill bottle that will almost always have unwanted side effects. Because of this, I asked him, “What does the medicine do?” He said it would reduce my appetite to help me be less hungry, reducing the amount eaten and lowering weight. I pointed out that I knew myself well enough to realize that my problem wasn’t eating when hungry. My problem was eating when not hungry. Even when starting a meal because of hunger, I seldom stopped when no longer hungry. I asked, “What will the medicine do for this eating problem?” He responded that it would be useless and that the only thing to help me would understanding why I was eating. This is why I declined the meds and eventually found a way to lose weight naturally. Many people use food, not to assuage hunger, but to soothe their emotions, or to cover other needs. Eating is supposed to nourish the body and encourage health. It cannot medicate other problems and should not be used as a poultice applied to every hurt feeling or every bad mood. Last night my wife and I went to a restaurant we have frequented for years. Raising kids on a limited pastoral salary meant learning to economize. One way to do this was to eat at buffets like Country Buffet or Golden Corral. This gave everyone a wide selection of their favorites and we could be sure everyone would get plenty. A problem though is the difficulty with overeating. Being on a weight loss and health journey, meant either not going, or finding tools and techniques to help. In the past I have worked hard to only eat what was allowed and quantities that were appropriate. Avoiding carbs was always pretty easy. However, it was not uncommon to find at the end of the meal that I had consumed more meat than I should have. Also, to avoid having too much often required white knuckling it through the last few minutes of the meal—resisting temptation while waiting for my wife to finish her latest plate. While in the past I’ve found personal techniques and tools to help get through such situations, lately I’ve been reading Brian Wasink’s book Mindless Eating: Why we eat more than we think. It’s been a fascinating read and is filled with suggestions and tools to help with changing our eating habits. The book talks about the reasons we overeat and the things which contribute to this, though most of us may be totally unaware of them. Rather than sharing all of the ideas, I’ll concentrate on ones I used at the buffet. When going, I have learned to start with a salad. In the past my usual plan was “eat the meat and dessert first, then if there is room pass slowly by the salad on the way to seconds on sweets.” Now I make myself a fair sized salad first and finish it. This gives me my greens and I work hard to keep it low carb—as low carb as possible. 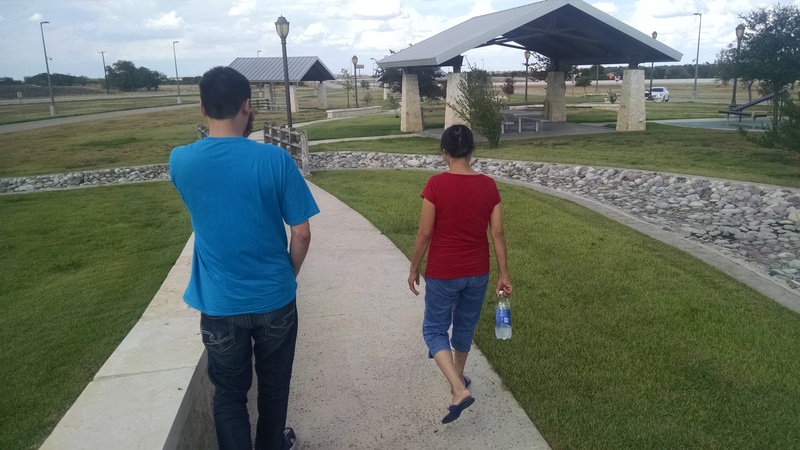 This time, inspired by my recent reading, I started with two differences: (1) I took time to talk to my wife and ask her questions about her day. Over the many years of being married we spent so much time monitoring the kids we got used to not really conversing when eating. Talking slowed me down and turned my focus off of shoveling food into my mouth. However, do not just mindlessly eat while talking. Before you know it you will have overeaten without paying attention. Instead, from time to time, put down your fork or spoon and talk for a few moments. Then return to your food. (2) I ate my salad slowly while talking to slow down, but also stopped after the salad and waited five minutes before getting my entre. This gave my body and mind time to register the eating and to sense that though my hunger was not satiated it was lessoned. Since it takes about twenty minutes for our mind to recognize satiety, this gave my mind time to catch up to what was happening in my body. After my salad and the short break between courses, before getting my entre I walked through the buffet area, without a plate, looking at all the foods to decide what I wanted and what I could or should have. I had already decided before going in that I was going to allow myself more carbs, because today was a weightlifting day. My body needs more calories and more carbs on lifting days because material and energy are needed for building muscle. However, I was going to avoid the simple sugars, grains, fried foods and starchy foods. I looked for everything that offered protein, but was not breaded or fried: roast chicken, broiled fish, etc. I also looked for foods that offered more complex carbs: sweet potatoes instead of white potatoes, etc. Then there was low carb greens, like broccoli. No bread, no pasta and no other grain products would be allowed. So, without a plate I walked through thinking, “I can have that, but not that. I could have that but should avoid it because I already had X today. That will be OK, but should be limited. A nice side benefit was that this slowed down my eating more. With my plan and decisions made beforehand, I grabbed a plate and went back through grabbing the foods I’d already selected. After that plate was finished, I sat for a few minutes talking to my wife and having a decaf coffee. It was then that it struck me that I didn’t want anything else to eat—my hunger was fully satisfied, but I was not stuffed. Also, by doing it this way, I didn’t have to sit there telling myself “I must not have more; I must not have more.” I didn’t want more. Eat slowly, by enjoying the company of others—occasionally put down the fork and talk. Wait between refills to give time for the brain to sense the body’s sensations. Browse through the buffet foods without a plate to prepare a plan of action. Get only the foods you planned in the amounts you planned. If still wanting more, repeat step 3, then reevaluate. Last night, my wife made a Korean dinner in honor of our son. Whenever we have all our children home she feels a strong desire to feed them her cultural cuisine. I understand that and always encourage her—especially since I love Korean food and truly love my wife’s cooking. Now to understand the rest, you have to know that my wife is the best cook on planet earth as far as I’m concerned. When making food she’s passionate about, no one can beat her. 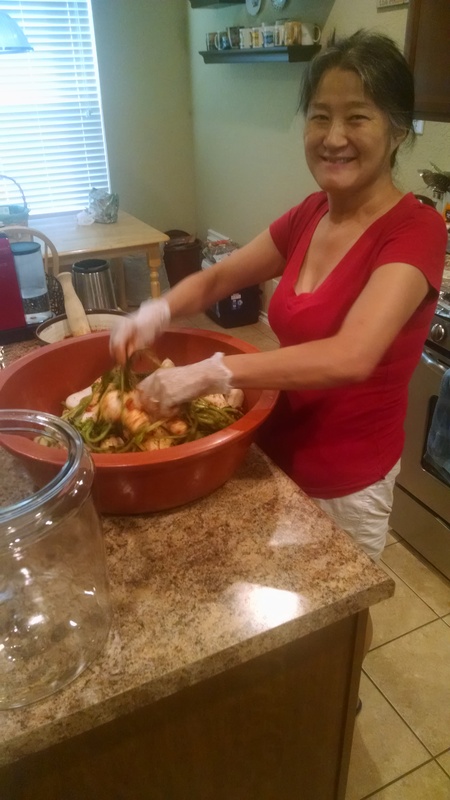 She cooks Korean, of course, traditional southern American cuisine, Italian, Mexican and some French. I’ve described my wife’s cooking skills by telling people, “If you make something and my wife likes it, she’ll ask you what’s in it and before long will make it better than you.” This is important to understand, because if my wife pours her whole heart and a whole day into making a single meal (she literally started cooking at 8 AM for a meal to be eaten at 6 PM), I am not going to pass any of it up—diet or no diet. These meals are rare, and deserve to be enjoyed—my wife also deserves to be honored. Keep in mind that when I started this journey I was so unhealthy I no longer had choices. I had to choose to change or die. I wanted to get down to a low enough weight and healthy enough condition that I would be free to make real choices about what to eat and when. I wanted to free myself of the fat to be free, not to be chained to a freakish inhuman way of eating for the rest of my days (some of the diets out there are bizarre). I wanted to be healthy enough that if I chose one day to indulge in something less healthy—or even flatly unhealthy—I was free to make that choice. The problem with most people today is the false belief that they have this freedom. If your body is craving unhealthy foods then you are not choosing them freely. I have done well on my program. 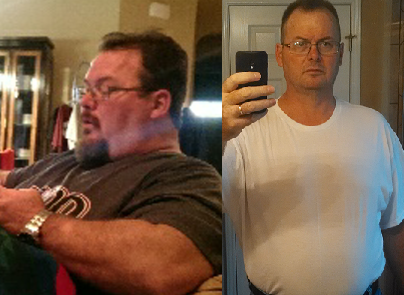 I’ve lost about 150 lbs. 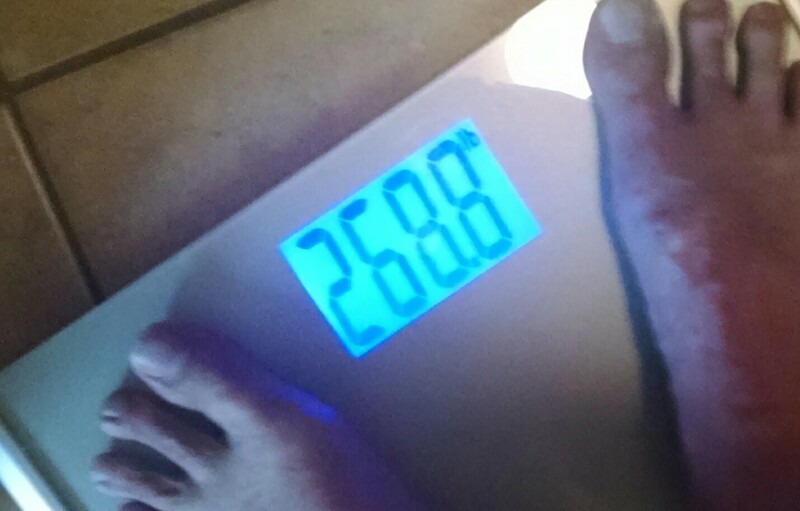 from my lifetime highest (110+ lbs. from my starting point on program). My blood sugar, cholesterol and other numbers look great. Keeping all this in mind I had to decide how I would approach my wife’s special meal. There is a great deal of talk among various diet programs about “cheat days”, etc. Many will also convince themselves that they have done so well they “deserve” to splurge. Both ideas are poisonous. Both show a different view from mine. A cheat day implies “forbidden fruit.” I am bound. I am chained to a program, but choose to cheat—“Just once, I can come back to it tomorrow.” The idea of cheating makes the program something bound upon me by someone else. I owe that someone else loyalty and am cheating with a special forbidden meal. Giving yourself permission to cheat does not change this. But if I have chosen my program and do so every step of the way, nothing I do is cheating. I cannot be tempted by forbidden fruit because there is no forbidden fruit. I can have any of it. I just have to understand and remind myself that I can have food A and a fatter body or I can have food B and a lighter body. The laws of science make it impossible to have both—I have to choose. That is part of our problem as Americans. We want to have both. “Cheat days” are a stupid concept. I make my choices and cannot “cheat” on myself—when I try I only end up cheating myself. If I choose to eat foods that slow my weight loss then I have chosen and should live with the results—or look for alternatives. As for deserving a splurge or something special for all the hard work, “deserving” is a special concept that is often misused. Think about what you actually deserve in life. If you define the term properly then we deserve very little. We deserve what we have earned—because that is how an exchange works. I agree to work for you for 1 hour and you agree to pay x dollars. After one hour of labor the dollars are no longer yours, they are mine. I deserve them because they are mine. If I opt to not work for you for that hour, and find no one else to offer more then I deserve my empty pocket. Another similar concept is the respect we deserve from others. Why do we deserve respect? Years ago I had a fellow teacher challenge a student to ask me a hard question she could not answer. The student said, “Mr. Cluck, why is it wrong to be disrespectful?” I answered, “Because the respect is owed to that person because of either whom they are in relation to you or what they have accomplished. It is theirs. If you refuse to give them respect, you are stealing from them.” So let’s say I work hard for six months to lose weight by closely following a diet. What do I deserve? If I follow the program and lose weight then what I deserve is the weight loss—I earned it. It is reaching the goal itself that one deserves when striving hard for a goal. To say I deserve a special fatty high carb meal for all my hard work dieting implies something that violates simple science. It would be more accurate to say, “I’ve worked so hard making good choices so I will allow myself to make a different one tonight.” But that is far different from saying I deserve it. The only reason one would say it this way (deserve) is to either alleviate guilt or to prevent the judgment of others. But if you are free to choose moment by moment, meal by meal, bit by bite, then why feel guilty? Why worry about the judgment of others? Your program is your business. Claiming “I deserve a splurge meal” is a lie. Stop using lies. I can choose a “splurge meal” but I can’t deserve it. I will still reap the results of any choice I make. All this came up because my wife’s traditional meal, being Korean, includes a large number of carbs that I have to avoid on my program. Quite a few of these carbs are actually refined carbs. Also, the meal is being served as a feast in honor of family and friends. Eating copious amounts is expected. Most of the food was perfectly fine for my program—beef and pork Bulgogi. I could simply avoid the onions and the carrot slices. 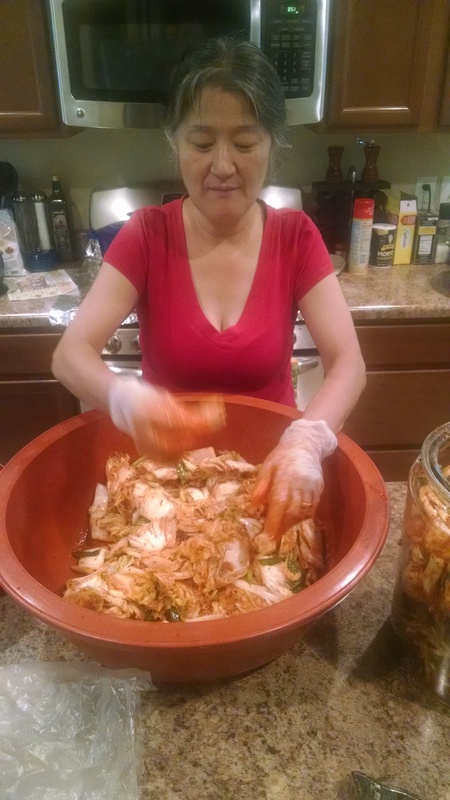 There were also two kinds of kimchi—turnip and cabbage. Then there were bean sprouts and fish slices, called O Daeng (I love the name because, “Oh dang! This stuff is good”). I could have simply skipped all the other stuff and grazed off of these. However, I wanted to do an experiment to see if there was another option. I’ll explain what I actually did in a moment. Besides the foods that fit fine, there were several that were not going to work with the program. We had Kimbap. This is what many Americans know as Sushi rolls. It is white rice, carrot, spinach and turnip rolled inside of seaweed wraps. I could eat for a year on nothing but Kimbap and never get tired. One other food takes a bit of explaining. One day, when my wife and I were dating, I went by her house and saw she wasn’t home. The landlady told me that she had gone to the market. Understand that the market was a huge area with various stalls, like the Asian open air markets you may have seen in movies. She was shocked when I snuck up behind her at a stall where she was having lunch. She ordered me some Duk Madu Guk (wonton soup) and we shared some Sun Dae. That was about the time I started feeling very deeply for her, so Sun Dae holds great comfort for me. Any time we find it at the market we get it and eat it together. It is also an important part of any celebratory Korean meal served to our friends. Sun Dae would not be allowed on my program. Now as I explain what it is, I already know what to expect from the average American reading this. Keep in mind that we eat stuff that Koreans think is gross, too. Sun Dae is a wonderful traditional sausage. It is a mixture of ground pork snout, beef blood and sweet potato noodles stuffed into a natural sausage casing. It is cooked, sliced and eaten dipped into a mixture of salt and other spices. The blood, meat and casings would be fine with the program, but the noodles blow it right out. I had a choice to make. I could ignore the meal and have a regular Lean & Green then simply enjoy my family while they ate—but I had invited friends over. I could stick to the foods that would fit with the program and skip those high in carbs. I could choose to eat any and all of it, and simply roll the dice to see what happens to the rest of my program—would I start craving carbs or get knocked out of fat burn? Another option was to prepare in advance to blunt the effect of the carbs. I decided to do the latter as a test. I have been reading lately on the effect of carbs and how they are metabolized. When eating carbs they are transformed into glucose. This is burned as energy, and any excess if pushed into fat reserves. It is false to think this works as a sort of balance system and when you get to end of the day your body decides whether it is in a negative or positive balance. Actually this works moment by moment throughout the day. If you eat a high level of carbs and your body at that moment does not need the excess, it immediately stores the excess. The idea that I can have one huge high carb meal now and really cut down for the rest of the day is fallacious. Our bodies are much more efficient at storing fat than at removing it. Everyone who has tried to lose weight knows it goes on easier than it comes off. However, there is one part of carb metabolism I decided to experiment with. You see, besides fat, the largest carb storage in our body is as glycogen in the muscles and liver. This muscle storage is used when those muscles move. Glycogen stored in the liver is slowly released between meals to keep blood sugar from crashing when no food is being digested. One option for preparing to eat a meal with excessive carbs—especially refined carbs—is to eat them within a couple hours of an intense workout. After the workout! We were going to eat between 5:30 and 6:00 so I went to the gym and worked out hard for over an hour. I wanted to drain my muscles of as much glycogen as possible so my body would take those refined carbs—like the white rice and the sweet potato noodles—and move them into muscle glycogen instead of fat. I also wanted my body to be forced to keep burning fat because the carbs were going into the muscles. This was my preparation for the meal. During the meal, I ate everything. I ate smaller than I would have in the past, mostly because I did not want more—I get stuffed so much easier. I also enjoyed the items with refined carbs, but kept them to a minimum. For example, I only had three pieces of the Kimbap and a few of the Sun Dae. I also passed up on the traditional bowl of rice. This still honored my wife’s hard work and our guests without blowing my goals. I checked twice during the night and again this morning. I am still in fat burn. While this will not be a regular practice, it is good to know there is another option for those times when I either need to have something I otherwise would not, or even for those times when I really want those items. Once again, it makes my choices my own. It liberates instead of binding. By the way, doing this also helped to drive something home. It helped to show just how costly on the system such a meal can be—I worked hard for over an hour to make room in my muscles for the meal. Everything has a cost! The next couple weeks are going to be a challenge for staying on program. My son is home from Colorado for two weeks. This of course puts us into a celebratory mood. 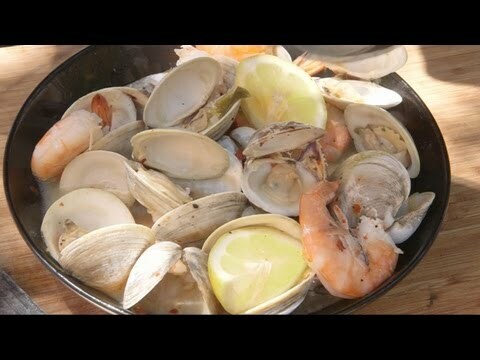 For example, yesterday I made a nice surf and turf supper of “drunken” (cooked in white wine) clams, mussels and shrimp with grilled boneless beef ribs. Paired with a salad, it was fine on the level of carbs and only a bit over my on my daily protein for a Lean & Green meal (keep in mind I was instructed to have an extra 3 ounces of protein each day because of my build). I did splurge in a way that could have been almost catastrophic. I enjoyed a glass of mead with my supper. The residual sugar could have been enough to push me out of fat burn. However, I checked last night and this morning and I am still going fine. Now, do I feel guilty for having the mead? Not a bit. The whole purpose of my journey is not to deny myself any good thing. The purpose is to build a life on healthy choices and there is a time to drink and a time to abstain. While it would probably be better for me to abstain until my program is over, I allowed myself to choose differently. This was a choice—it was mine to make. While I would never recommend it for anyone else trying to lose weight, the idea that I can only do things I would recommend to others is a fallacy. 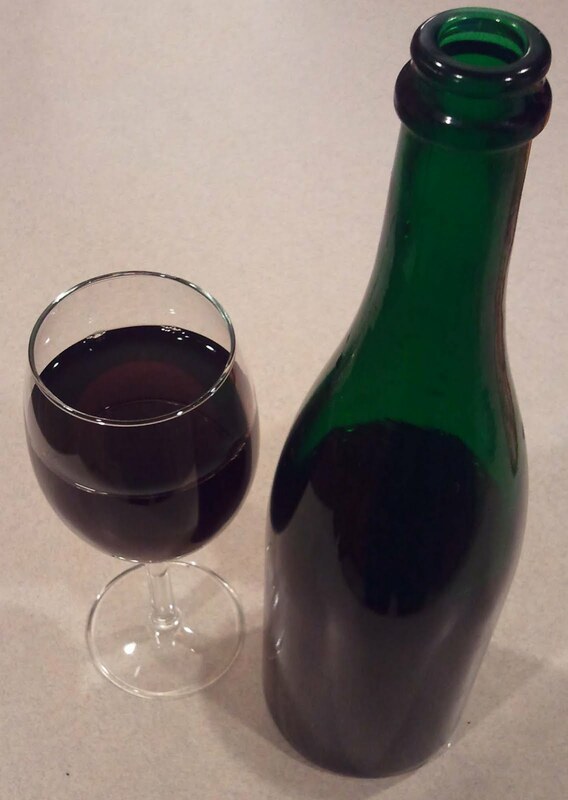 Recommending something is saying, “You should do this.” Instead, I would tell others, “You must decide for yourself.” It would be different if I told someone, “While on program you must not have mead,” and then turned around and had mead while on program—that would be hypocritical and unethical. I encourage each person to choose for themselves, and choose wisely with good information. If you want to stay on program and not risk getting bumped out of fat burn then you must not follow my example in this—the fact that it didn’t knock my body out of fat burn does not mean it will have the same effect on you. There are some things that will definitely have a certain impact on your health—regardless of the person involved. Then there are things that may have one impact on one and a very different impact on another. You must weigh your options and decide for yourself what is best. You must also decide if the enjoyment of your choice is worth the potential impact. Every choice in life involves exchanging one thing or benefit for another—if I do this, I will not be able to do that, etc. Now, for the reason the rest of this two weeks will be hard. We are taking two trips. One will be to see several relatives in another state. This trip will be hard to stay on program because my relatives will not be on program, and I swore from the beginning not to make others submit to my new lifestyle—that is not fair to them. There are going to be times I must make a decision that will not be best for staying on track. My biggest goal will not be losing a certain amount over the next couple weeks. My primary goal will be keeping myself in fat burn and not making a choice that could spiral me down into carb cravings. After that my goal will be staying as close to program as possible. 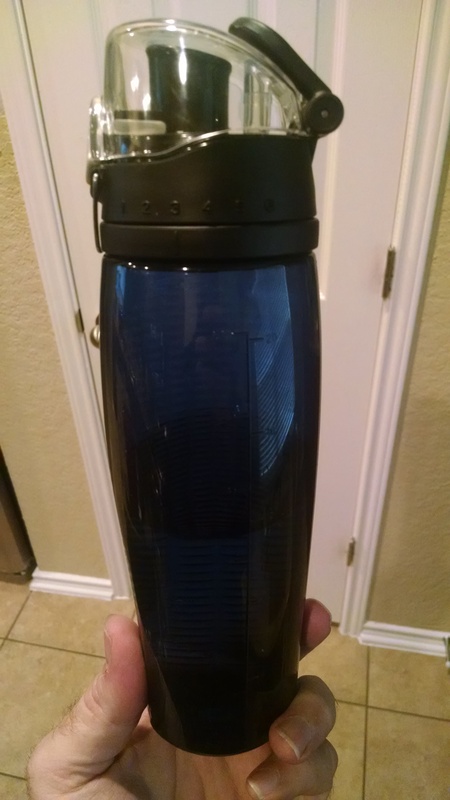 Beyond that will be the goal of losing something (weight wise) and staying fully hydrated the whole trip—not an easy proposition. The second trip should be easier. We will be going to Galveston, TX for two nights. While there we will be eating out quite a bit—Gaido’s is hard to pass up! Then there are tourist activities that usually involve sugary snacks and drinks everywhere you look. These will be a temptation. I know it. I expect it. I promised to cover some of the difficulties of traveling while dieting. I don’t like to point out a problem without offering solutions, so I’ll also offer some thoughts on how to prepare and deal with taking a trip. Whether you use them or not is up to you. What I share here will be what has helped me. On my latest trip, since I was flying for the first time in almost a year—and the first time on this program—I wasn’t sure if my bars and other supplies could be taken in a carryon bag. I didn’t want to check a bag since it was a short trip and I always pack as light as possible. I decided I would have to leave my supplies behind, and see how I would deal with “living off the land,” if you will. In doing this, let me first share the difficulties. It is important to keep your metabolism active and well fueled with small, appropriate meals (really more like snacks) every 3 hours or so. Since I did not carry them with me, I decided to limit myself to what was available. Neither was I able to prepare my own Lean & Green meals to make sure I stayed within the limits of my program. A third problem can be difficulty with proper hydration. It is essential, in a low-carb program, to get enough fluids (spelled w-a-t-e-r) to keep everything operating efficiently. Well when you are in meetings where copious amounts of coffee are available it can be easy to overdo the caffeine, underdo the water and get dehydrated. A fourth problem of such a meeting filled trip can be the temptations on location. Donuts, sugar-filled fruit bars, chips and candy are often abundant. Our table in these meetings always have small bowls filled with mini-chocolate bars. In the past, I would consume almost a whole bowl by myself. I have to admit chocolate can be tempting still today. This problem of temptations can also be compounded when trying to find food in an airport. The gate for my flight home was right across the hall from a popular chicken place with glossy displays of fried chicken, fried shrimp and fried potatoes, promising great pleasure from their Cajun spices. An important part of my program has been schedule and structure. An alarm on my phone goes off every 3 hours of the day reminding me to eat something. It can be hard when the alarm goes off and there is nothing for you to eat, or everything available will torpedo your program. So how can we deal with these? One of my interests is ethics, and I’ve been reading a book called Blind Spots: Why we fail to do what’s right and what to do about it, written by Max H. Bazerman and Ann E. Tenbrunsel. It discusses situations where we know what is ethical (the right thing to do), but fail to either notice that we are facing an ethical choice or simply fail to choose the ethical action. An important point in the book is the difference between what we know we should do and what we want to do. Many who give one answer when asked what they should do, will often do the exact opposite when faced with what they want to do. The authors offered several ways to help with such tempting times and to prepare for doing better. I could easily see many of these applied quite well to the situation I found myself in on this trip—the temptation to eat what I know I should not. I would be spending two days with friends who were in no way limited in what they ate. It would be wrong to expect them to choose restaurants, snacks, etc. based on my dietary needs. The temptation comes from thinking, “It would be easier on my friends if I just broke my diet—after all I can just go back on it later.” I could cheat for the good of my friends. There is no way to eat only what I should in the amount and at the times I need, so it would be better to just drop the whole thing during the trip and pick it up later. There will be piles of candy, sugary bars, and cans of soda and juice. “Hey! Juice is healthy! Right?” This one is quite common when others don’t understand the impact of sugars—“Oh, you’re on a diet? We have juice (or fruit, or…).” It would be easier to just eat whatever is offered rather than dealing with all the questions that come up. There were others as well, but these are a good sample of why we are tempted to eat what we know we shouldn’t. So how does one prepare for facing them? There are steps to take and decisions that must be made before the temptations hit. When faced with either eat something not permitted or eat nothing even though my schedule says I am supposed to eat something, which will I choose? I decided that eating something forbidden meant dropping out of fat burn, risking carb cravings, and then dealing with days of trying to white knuckle my way back into fat burn. Refraining from eating when supposed to meant slowing my metabolism (and weight loss), but this could fairly quickly be corrected upon returning home. Because of this I decided when making such a choice I would choose right foods over right schedule. Is it worth risking my choices and returning to unhealthy practices for a few hours of enjoyment with my friends? Absolutely not! On this trip, my diet would take priority over my friends. I am not done with weight loss, so I do not deserve a break. Besides, the very thought that I can take a break and eat what I want shows I have not fully integrated these choices as a way of life. Since this is true, I cannot choose to break my program. If these were my way of life, then the things I am not supposed to eat would no longer be as appealing. It is better to deal with the questions about why I can’t have ‘healthy’ things like juice, rice or fruit than to deal with the difficulty of turning my own mind, emotions and body back to good habits. The diet may have been easy, but this does not mean it will be easy going back on it. Besides, this thought itself shows I have not fully integrated these choices as a lifestyle. If I break it now, I am starting over and it will take even longer to ingrain these habits in my life. On the trip, I stayed as close as possible to permissible things. Believe me, when you go out and chicken fried steak is available (in a place you know makes a good one) it is hard to order grilled fish. It is also hard to scrape the rice off of that fish—since everything healthy in that restaurant included rice and the fish was laid over the top of a pile of rice. I often went many hours without eating any real food or what I should. Right next to the bowls of candy there was a bowl of pistachios. I ate pistachios to curb my appetite and to try to keep my metabolism where it should be. I had more coffee than I should and tried to force myself to grab the occasional bottle of water—I did better some times than others. In the hotel breakfast I stuck with scrambled eggs and sausage. I figured if I was going to splurge on sugar/carbs or on fat, it was better to have too much fat and not deal with carb cravings or with falling out of fat burn. I was burning fat, so it made since that it would just mean it was better to have more of what I wanted to burn than what I didn’t want to burn. So, you might wonder how the trip went. When I got home, the first thing I did was check my urine with a Ketostix to see if I was still in fat burn. I was. This hadn’t changed even though I had just spent two days with very limited resources and making careful choices while traveling and sitting in meetings. This morning I weighed myself and between the day before the trip and the first weigh-in after the trip I had lost one pound. Better to lose just one in two days than to gain one. My energy level is fine. I was quickly able to get back to schedule and will continue on. Dieting is hard. Keeping on plan takes effort and hard work at times. But it’s worth it. If you don’t think it is, then look at the pictures of me before I started and where I am right now. It is hard, but that change took me 3 and a half months. Am I glad I did the work? You had better believe it!